One of the best things you can do for yourself is just keep moving. Tracking steps is a great way to do that. Experts say people who take 10,000 steps per day live active lifestyles, which will reduce their chances of developing health complications in the future. But for most people, reaching 10,000 steps daily is tough. Remember, it's never to late to take positive steps towards a healthier lifestyle! So, track your steps to see your progress. Start by wearing a pedometer every day for a week. Put it on as soon as you wake and take if off before bed. At the end of each day, record the amount of steps you have taken. You might be surprised (or alarmed) when seeing your results. If you find you need to add more pep to your step, start by setting small goals for yourself. Try increasing the amount of steps you take each week, check in on yourself throughout the day, take the stairs back up to the office instead of the elevator - always try to keep moving! Stay tuned! 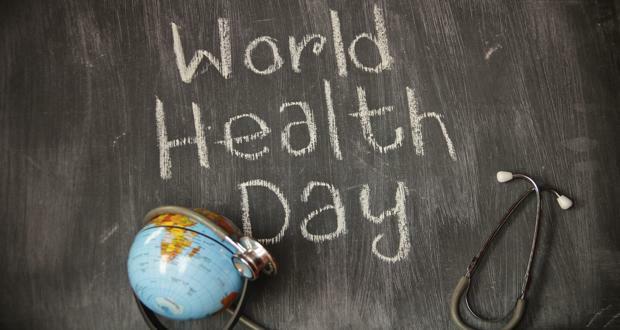 In honor of #WorldHealthDay I will be sharing tips on ways to stay healthy throughout the day today!